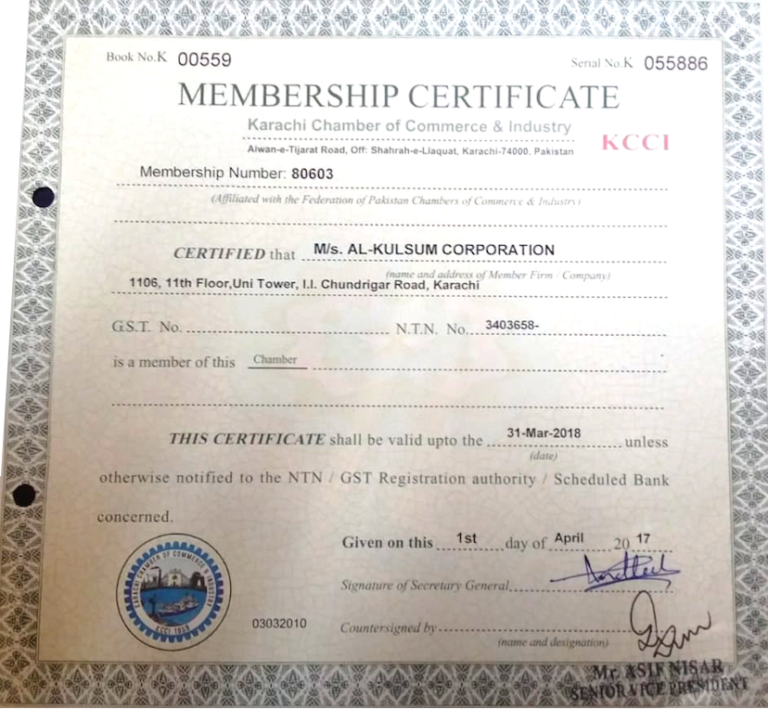 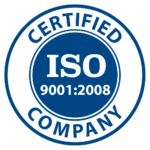 Al-Kulsum Corporation is a company founded in Karachi in 2005. 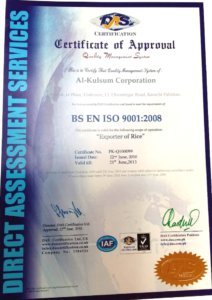 We operate with a Processing factory & a Trading office. 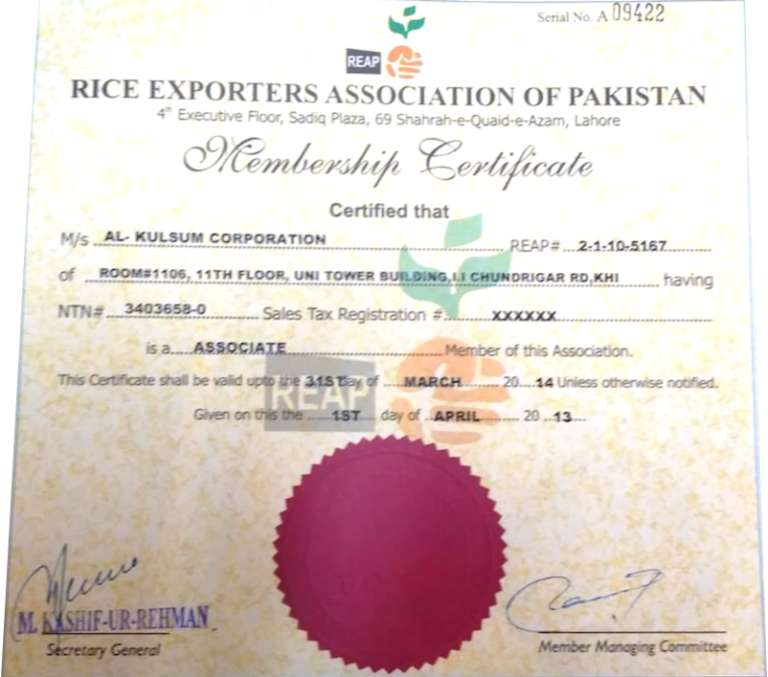 We specialise in the trading, export and processing of all types of Pakistani rice, such as Super Kernel Basmati, Basmati, 385, 386, D98, IRRI 9, IRRI 6, 100% Broken Rice etc, pulses like peas, lentils, beans etc and yellow maize.